Mr Carlin is not a Doctor. Even though Greg and Rosanna on Fox’s Good Day NY referred to him as Doctor as a sign of respect for his skill and expertise in hypnosis, he does not diagnose, prescribe drugs. Nor does he treat illness without a Doctor’s referral. This is probably the most asked question that I get by visitors to my website. Hypnotists who are experienced and trained correctly can help guide you into the perfect state for your change to help you solve your problem. The following video is a typical example of a first time experience with hypnosis. Watch this so you'll know what to expect. I know you’ve been checking around and looking for ways that you can make changes in your life to make you feel better, be healthier, happier, and have a better life. You’ve landed on my website because hypnosis has been used for making powerful, profound, and permanent change for hundreds if not thousands of years. If you'd like the answer to "What is hypnosis?" you can read more about it at that link. The technology has constantly been updated and made more elegant, efficient, and more effective. I feel that I've put together the best hypnotizing methods for weight loss and stop smoking for your benefit. 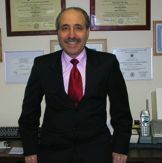 Here at New York Hypnosis we use the most up-to-date effective hypnotic techniques that have been backed by tens of thousands of clinical hours of experience. At The Hypnosis Center in Manhattan, and Long Island, you will be able to easily and effectively, stop overeating, stop smoking, as well as change other bad habits using the hypnotic techniques that we have become famous for.Hypnosis is a very effective way of making these changes, however it is important that you use a hypnotist that is well trained and experienced in helping create these changes or you might not get the results that you want.At our New York Centers in Manhattan and Long Island, a unique 5 phase approach to hypnosis is used to make change quick and profound, with long lasting results.We can effectively use Hypnosis to help you overcome many everyday problems. While most people think of using hypnosis for Weight Loss, and Smoking Cessation, we are accustomed to seeing clients for many other issues as well.Weight Loss Hypnotic Training will make changes safely, quickly, and easily, because we find the root of the problem. We seek to unplant the seed of the thought that drives the behavior that is responsible for your negative behavior. Quit Smoking with Hypnotic techniques makes it easy, and quick. Most people leave my office after the very first session as a non smoker. Most have no cravings, withdrawal, or weight gain.Maintain Maximum Confidence. Be free of irrational and sabotaging fears, increase self-esteem, and remove self sabotaging shyness.Learn to manage Stress, and stop being overwhelmed. You will learn relaxation techniques that will become automatic responses to what used to be the stress producing scenarios.Performance Excellence in anything you do, artistic, athletic, business, or acedemic performance enhancement can be yours. If you do something well and would like to do it better, than hypnosis is the tool that will get you to next level with ease. Treat your Alcohol or Drug problem with hypnotic techniques that are designed to go to the root cause of your behavior.Improve your salesmanship. Focus on the positive as you move through the numbers of what selling is about. Eliminate the fear of rejection that is holding you back from moving ahead in your career.Stop Biting Your Nails, as you go to the cause of the response you learned to stress and reprogram your mind to respond in better more effective ways.Learn techniques to effectively control physical pain, migraines, phantom limb pain etc.Learn how to go easily to sleep and remain asleep for the entire night.Stop Procrastinating and start living your life…The life you were meant to live. Start Now…There are many other issues that Hypnosis can effectively deal with. Give me a call now (212) 223-1832, to find out about how we can help you get the results you are looking for. We have worked with most issues that cause everyday problems for everyday people. Many people come to my site for many different reasons. I’ve done my best to pack as much information into my site to educate you about hypnosis, hypnotic technique, and how I approach the hypnotic process at my center. Feel free to take the time to browse around at all the free articles available here for your education. Then give me a call to get any further info you feel you need. I love talking about hypnosis, the technology that is a passion for me!Sincerely,Marc CarlinConsulting Hypnotist	Certified by the:	National Guild of Hypnotists	Trucor Inc.	Banyon Hypnosis Training Center. The Achievement CenterAs you read through the website, write down any further questions you might have and then call me now at (212) 223-1832. I will be happy to hear from you and answer any of your questions in detail. I provide a no cost or obligation phone consult for you.The Hypnosis CenterConvenient Manhattan and Long Island Locations. Start Living Your Dream at HypnoticState.com ! If you are looking for a high quality fully experienced hypnotist, then look no further. The NYC Hypnotist provides you with the tools to help you achieve your own personal success. Whatever your problem is I can help you find your own personal solution. Some of the problems I've helped my clients solve include: Abandonment, Addictions, Adolescent Issues, Aggression, Agoraphobia, Anger, Anxiety, Assertiveness, Bed Wetting, Change Habits, Cheek Biting, Childbirth & Pregnancy, Chronic Pain, Claustrophobia, Communication Skills, Competition,Concentration, Empowerment, Empty Nest Syndrome, Exercise, Fear of Dentist, Fear of Flying, Fear of Heights, Fears & Phobias, Fear of Thunder & Lightning, Forgiveness, Frustration, Future Life Progression, Gambling, Germ phobia, Grief, Guilt, Hair Pulling, Healthy Relationships, Helplessness / Hopelessness, Hostility, Hyperactivity, Hypochondria, Improve Sales, Indecision, Inferiority, Inner Child, Insecurity, Insomnia, Intimacy, Irrational Thoughts, Irritability, Lack of Direction, Memory, Menopause, Mistrust, Moodiness, Motivation, Nail Biting, Negotiating Power, Obsessive-Compulsive Tendencies, Overeating, PMS, Pain Management, Panic Attacks, Passive-Aggressive Behavior, Past Life Regression, Perfectionism, Procrastination, Public Speaking, Rejection, Resistance to Change, Restlessness, Sadness, Self-Blame, Self-Confidence, Self-Defeating Behaviors, Self-Discipline, Self-Esteem, Self-Expression, Self-Forgiveness, Self-Hypnosis, Self-Image, Set & Reach Goals, Sexual Dysfunctions, Shame, Skin Problems, Sleep Disorders, Smoking Cessation, Social Skills, Sports Enhancement, Stage Fright, Stress, Study Habits, Stuttering, Substance Abuse, Surgery Preparation, Surgery Recovery, Tardiness, Test Anxiety, Trauma Recovery, Victimization, Weight Loss, Writer’s Block. Any and all clinically diagnosed illnesses require the referral of a licensed practitioner, or medical doctor. Any attempts to copy the information or to create derivative works of any of the content on this website will be prosecuted to the full extent of the law.